Heartworm disease or dirofilariasis is a serious and potentially fatal disease in dogs. It is caused by a blood-borne parasite called Dirofilaria immitis that is transmitted by mosquitoes. Heartworms are found in the heart and adjacent large blood vessels of infected dogs. The female worm is 6 to 14 inches long and 1/8 inch wide. The male is about half the size of the female. One dog may have as many as 300 worms. Adult heartworms live in the heart and pulmonary arteries of infected dogs. They have been found in other areas of the body, but this is unusual. They live up to five years and, during this time, the female produces millions of offspring called microfilaria. These microfilariae live mainly in the small vessels of the bloodstream. The immature heartworms cannot complete their life cycle in the dog. The mosquito is required for some stages of the heartworm life cycle. The microfilaria are not infective (cannot grow to adulthood) in the dog - although they do cause problems. 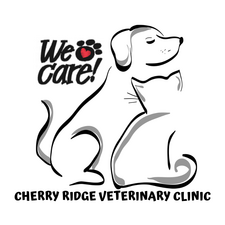 Blood chemistries: Complete blood counts and blood tests for kidney and liver function may give an indication of the presence of heartworm disease. These tests are also performed on dogs diagnosed as heartworm-infected to determine the function of the dog's organs prior to treatment. There is some risk involved in treating dogs with heartworms, although fatalities are rare. In the past, the drug used to treat heartworms contained arsenic so toxic effects and reactions occurred more frequently. A newer drug is now available that does not have the toxic side-effects, allowing successful treatment of more than 95% of dogs with heartworms. Some dogs are diagnosed with advanced heartworm disease. This means that the heartworms have been present long enough to cause substantial damage to the heart, lungs, blood vessels, kidneys, and liver. A few of these cases will be so advanced that it will be safer to treat the organ damage rather than risk treatment to kill the heartworms. Dogs in this condition are not likely to live more than a few weeks or months. Treatment to kill adult heartworms: An injectable drug to kill adult heartworms is given. It kills the adult heartworms in the heart and adjacent vessels. These injections may be divided and given thirty days apart. Complete rest is essential after treatment: The adult worms die in a few days and start to decompose. As they break up, they are carried to the lungs, where they lodge in the small blood vessels and are eventually reabsorbed by the body. This can be a dangerous period so it is absolutely essential that the dog be kept quiet and not be allowed to exercise for one month following treatment. The first week after the injections is critical because the worms are dying. A cough is noticeable for seven to eight weeks after treatment in many heavily infected dogs. Prompt treatment is essential if the dog has a significant reaction in the weeks following the initial treatment, although such reactions are rare. If a dog shows loss of appetite, shortness of breath, severe coughing, coughing up blood, fever, and/or depression, you should notify us. Response to antibiotics, cage rest, and supportive care and intravenous fluids is usually good in these cases. Treatment to kill microfilaria: Approximately one month following treatment to kill the adults, the dog is returned to the hospital for administration of a drug to kill the baby heartworms or microfilariae. Your dog needs to stay in the hospital for the day. Your dog is started on heartworm preventive after this treatment. Dogs with severe heart disease may need lifetime treatment for the heart failure, even after the heartworms have been killed. This includes the use of diuretics, heart drugs, and special low salt, low protein diets. 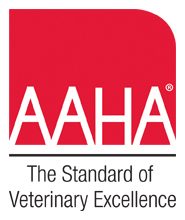 Are changes made in the treatment protocol for dogs that have severe heartworm disease? Yes. The state of heart failure is treated as described above. However, we also treat the adult heartworms in a two-stage process. Only one treatment with the drug to kill the worms is given initially. This causes the death of approximately half of the worms. One month later, the full treatment is given to kill the remaining worms. By killing them in two stages, the severe effects on the lungs are much less likely to occur. This protocol is also used in moderate cases to provide a safer treatment. When a dog has been successfully treated for heartworms, it is essential to begin a heartworm prevention program to prevent future recurrence. With the safe and affordable heart preventives available today, no pet should ever have to endure this dreaded disease.